This is imaginative work about a man’s quest for true connection. 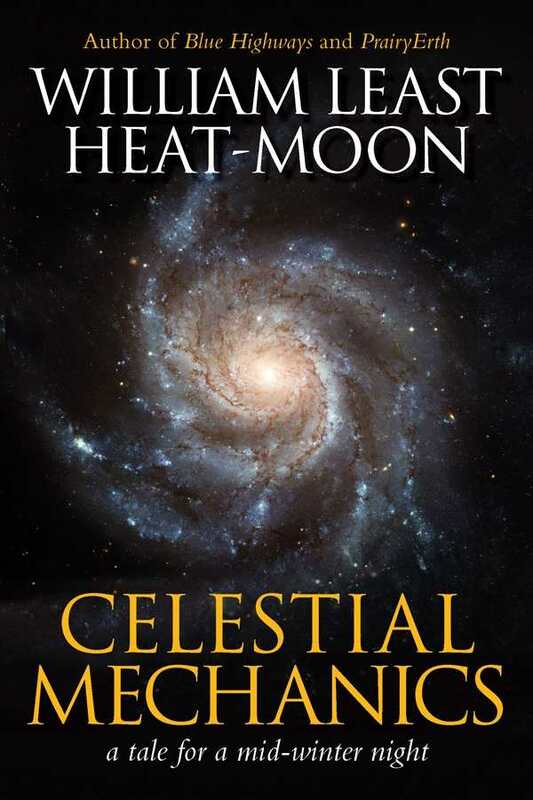 A sprawling, fantastical work about a man’s spiritual journey, Celestial Mechanics is the first novel by William Least Heat-Moon, who is well-known for his best-selling Blue Highways. The novel begins in a small midwestern town with Silas Fortunato, a sometimes journalist and self-proclaimed “Cosmoterian.” Silas pursues interests in astronomy, ancient cultures, and philosophy as he explores back roads from his creaky country house. He proves to be a likable and imaginative eccentric with a quirky sense of humor, and his quest to make sense of life is engaging. His lonely existence takes a new turn when he meets and, after a short courtship, marries Dominique Heppermann, a person to whom he is disastrously mismatched. The restless Dominique succeeds as a real estate agent who sells farmland to developers, and she resents Silas’s unconventional life. The novel spirals west when Dominique disappears from a conference in Arizona. Silas follows to investigate, and connects with her sister, Celeste, a young nun who understands Silas better than her sister ever did, and a third mysterious woman sometimes referred to as Kyzmyt. As he seeks to understand these three women, Silas’s free-ranging adventures include a journey down Nevada’s Extraterrestrial Highway and a tumble from a hot-air balloon. That fall results in injuries that land Silas in a wheelchair, and as he attempts to recover, his musings become increasingly metaphysical. The mysterious Kyzmyt draws him to the world of dreams and he begins to see her wraithlike figure in his waking life as well, as a dancing image reflected in a window, a glance from a statue, or a vision in the stars. The line between reality and fantasy becomes ever more tenuous as the book ventures into magical realism. The prose has nice touches, from imaginative dialogue to entertaining plot twists, though this is entirely Silas’s story. The women’s motivations are ambiguous, from the scornful Dominique to the saintlike Celeste, who is long-suffering in her attempts to nurse him to health and who patiently listens to his ravings about the ethereal Kyzmyt. Yet Silas’s search for meaning is absorbing and playfully told. Celestial Mechanics is imaginative work about a quest for true connection.